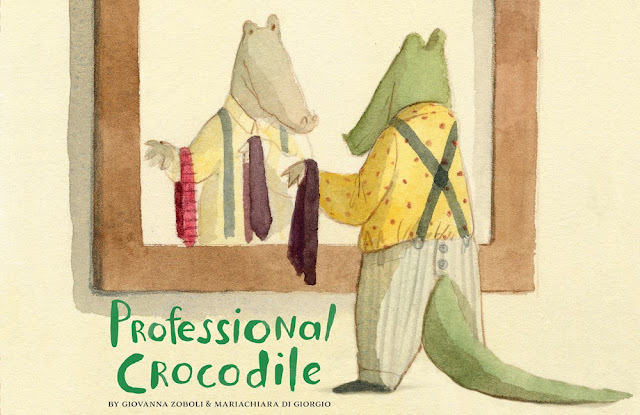 If you’re looking for a charming picture book for children — or for adults — try the wonderful Professional Crocodile by author Giovanna Zoboli and illustrator Mariachiara di Giorgio. 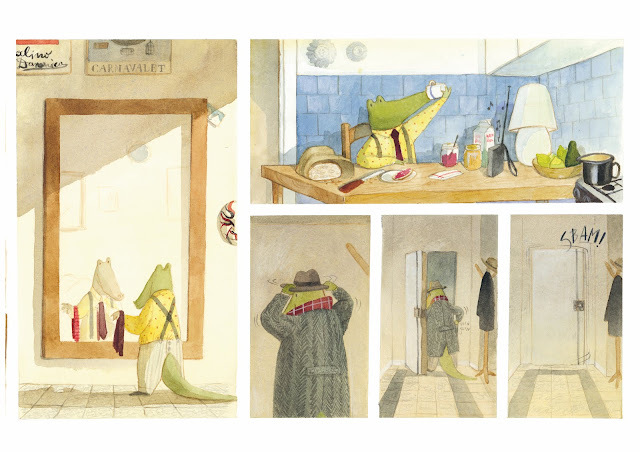 The wordless story is simple: A rather stylish crocodile gets dressed, eats breakfast, and then commutes across town to his job. That’s it. But the illustrations! So pleasing! Really, it’s just too much fun. The book has become a favorite at our house, and we don’t even have kids. The blog Let’s Talk Picture Books blog has a lovely interview with illustrator Mariachiara di Giorgio here. When you’re done looking at the pictures, you can amuse yourself by quietly repeating the Italian title: Professione Coccodrillo.